Omega 3 Fatty Acids are the Holy Grail of vitamins — and that’s why I take Omega 3 supplements on a daily basis. You need Omega 3 to optimize many functions in your body and such as your sight, your heart, your liver fat — and the list goes on. In today’s society where the ‘low-fat’ diet is very popular, many people have a serious deficiency in Omega 3 fatty acids. Which is linked to actually increase obesity rate, diabetes, depression, and a rash of ADHD problems in kids — along with a decrease in cognitive performance such as focus and concentration. The best benefit of magnesium is that you’re gonna notice less. Less stress, less antsiness and less static throughout the body. You’re gonna notice you’ll feel more relaxed and calm — and this is exactly what’s necessary in order to reach levels of optimal focus. Research shows that Alpha BRAIN already works the first time you take it — and I can back those findings with my own experiences. 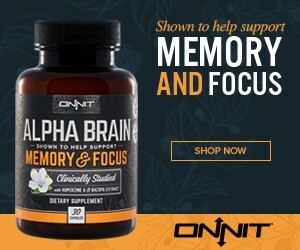 Whenever I need to absolutely crush a day (because I’m shooting videos for example), I take some Alpha Brain to keep me sharp and give me that extra mental edge to perform at higher levels. Of course, you should aim to primarily eat a healthy, balanced diet where you’re getting these vitamins and minerals. 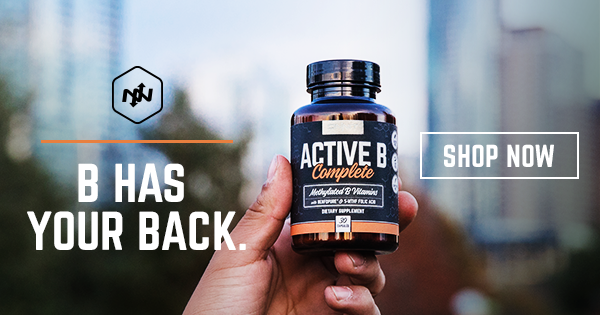 However, it’s often simply not possible to get the sufficient amount of all of the essential vitamins and minerals on a daily basis — and therefore taking daily supplements from a reputable source can be a great solution!